Like many Nebraskans, Bruce and I were deeply saddened to hear of the passing of President George H.W. Bush. A member of the Greatest Generation, President Bush humbly served the country he loved. George H.W. Bush was a patriot, a leader, and a decent man who had a noble spirit. 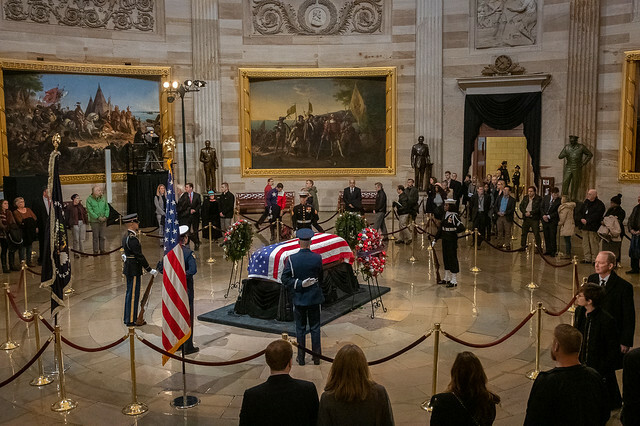 This week, I was honored to attend the arrival ceremony at the U.S. Capitol and the service at the National Cathedral for the late president. I join tens of thousands of Americans in showing our respect and gratitude to this wonderful man for his service to our nation. As the year comes to a close, the Senate will be working hard throughout the month to continue our work to make life better for Nebraskans and all Americans. For more updates from the Senate, keep reading our monthly update below. 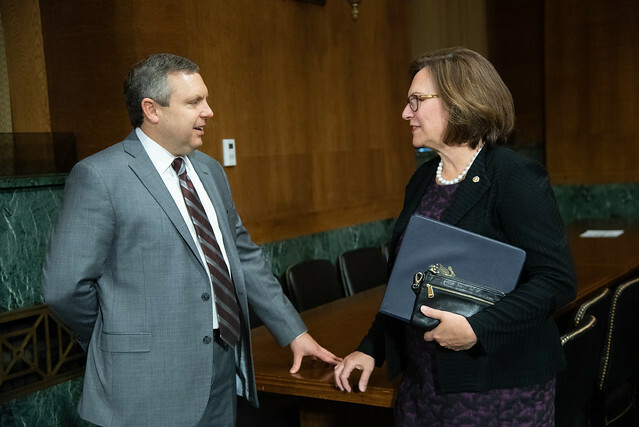 Last week, I had the privilege of introducing Brian Buescher of Omaha to the Senate Judiciary Committee during his nomination hearing. Mr. Buescher is President Trump’s nominee to serve as a judge on the U.S. District Court for the District of Nebraska. 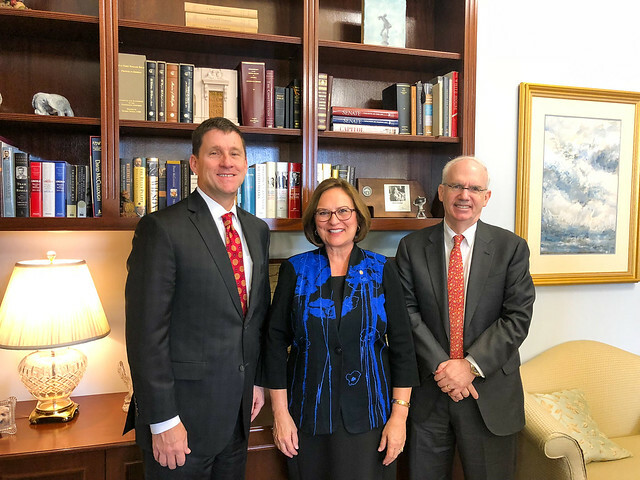 Senator Sasse and I recommended him to President Trump for this judgeship earlier this year. I am confident Mr. Buescher will be an excellent judge and uphold the Constitution equally and fairly. 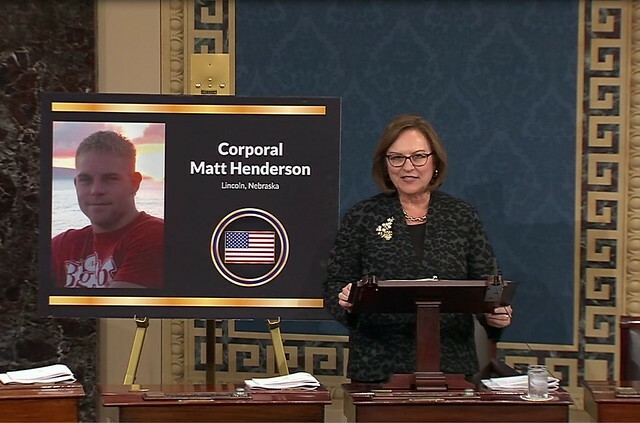 This month, I spoke on the Senate floor to honor the life and service of Corporal Matt Henderson, a native of Lincoln, who died while serving in Iraq in May 2004. Matt was a consistent source of inspiration for his fellow Marines. He was the kind of young man that people were just drawn to. Corporal Matt Henderson lived life to the fullest, and he is missed dearly by his family and friends. I join Nebraskans and Americans across our country in recognizing Matt’s bravery and sacrifice. You can watch my full tribute here. Recently, President Donald Trump signed the U.S.–Mexico–Canada Agreement (USMCA). I’m grateful to the president for his hard work to negotiate this modernized trade deal. Nebraska agriculture producers and their families depend on access to international markets, especially during this difficult period for the farm economy. I look forward to reviewing the agreement soon. More information on how Nebraska will benefit from this agreement here. The EPA has announced the final 2019 Renewable Volume Obligations under the Renewable Fuel Standard. I applaud the administration for releasing this final rule on time with the conventional volumes set to the required level outlined by statute. However, the positive aspects of this announcement are overshadowed by the agency’s failure to reallocate renewable fuel gallons removed from the marketplace because of small refinery waivers. This undermines the purpose of the Renewable Fuel Standard and leaves Nebraska’s biofuel producers on uncertain ground in what is already a tough time for farm country. I will continue to fight to ensure a fair playing field for Nebraska biofuel producers. 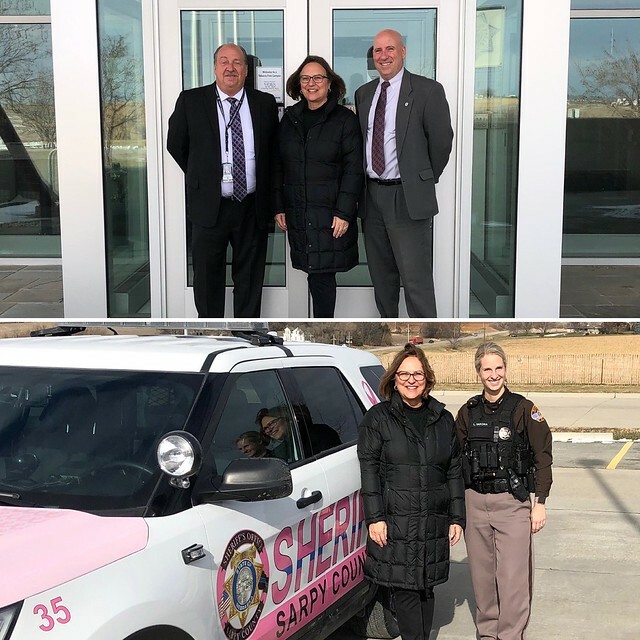 It was exciting to go on a ride-along with the Sarpy County Sheriff’s office in their Breast Cancer Awareness Month “pink cruiser.” I appreciate Sheriff Davis and his team for inviting me to see firsthand the good work they do to keep Sarpy County safe. 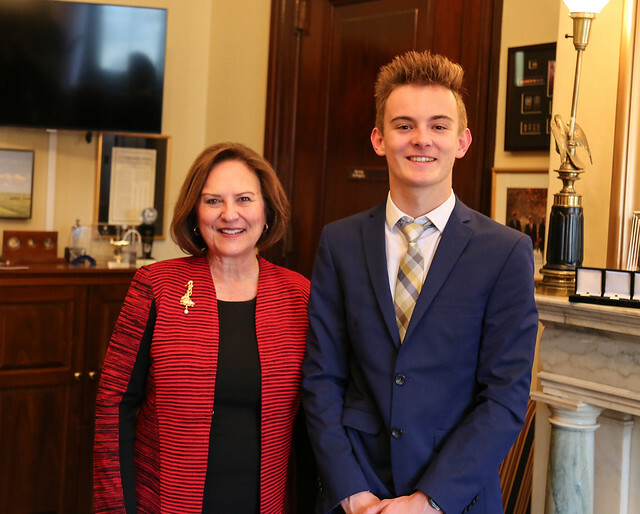 Enjoyed meeting German exchange student and honorary Nebraskan Tim Windheuser. Tim stopped by my office while he was attending a conference in Washington. It was great to hear that he is enjoying his year at Pierce Public High School and everything the Good Life has to offer. 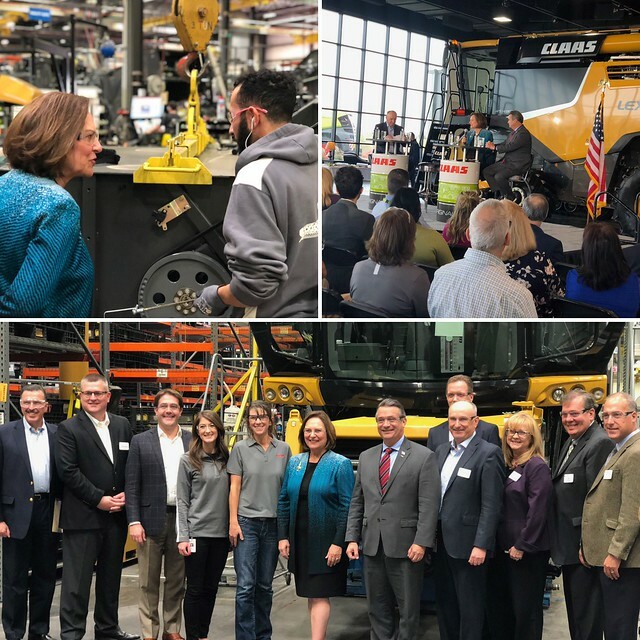 In Omaha, I had the opportunity to spend time at CLAAS of America. Congressman Don Bacon and I toured the impressive facility and held a roundtable discussion on manufacturing, agriculture, and broadband. 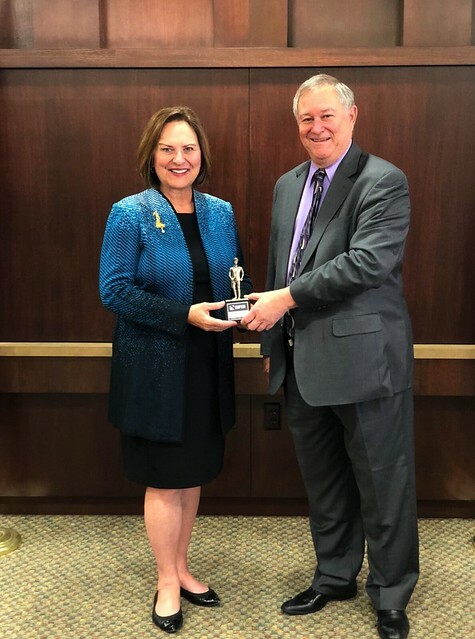 It was truly an honor to receive the National Federation of Independent Business’s Guardian of Small Business Award.